My kids could not figure out the curly “things” on top. 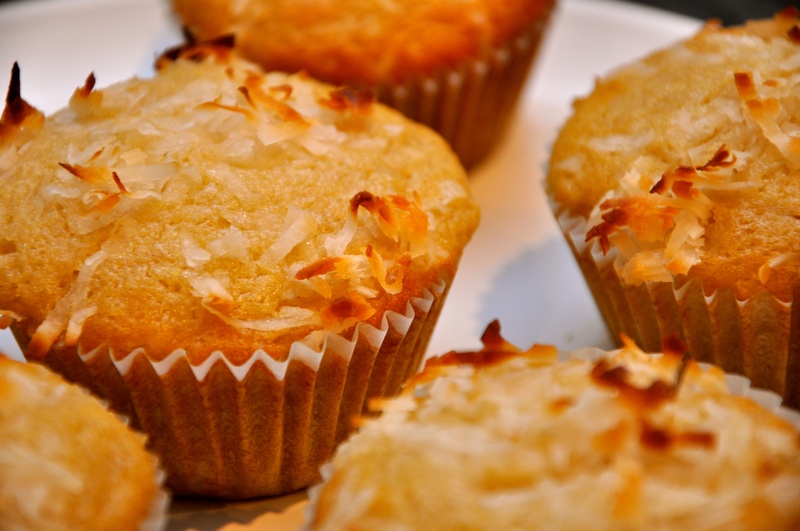 In America, we do not see coconuts often, but hands down, the flavor is mouth-watering, especially in these muffins that are full of applesauce, coconut milk, and shredded coconut. 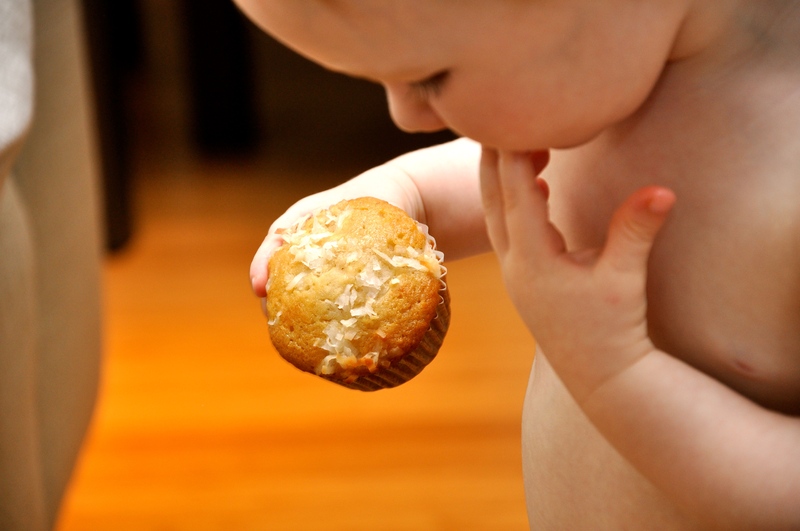 The moist, home-baked goods practically call your name by filling your house with amazing aromas. The coconut flavor is not overwhelming. For a stronger taste, substitute coconut extract for the vanilla. 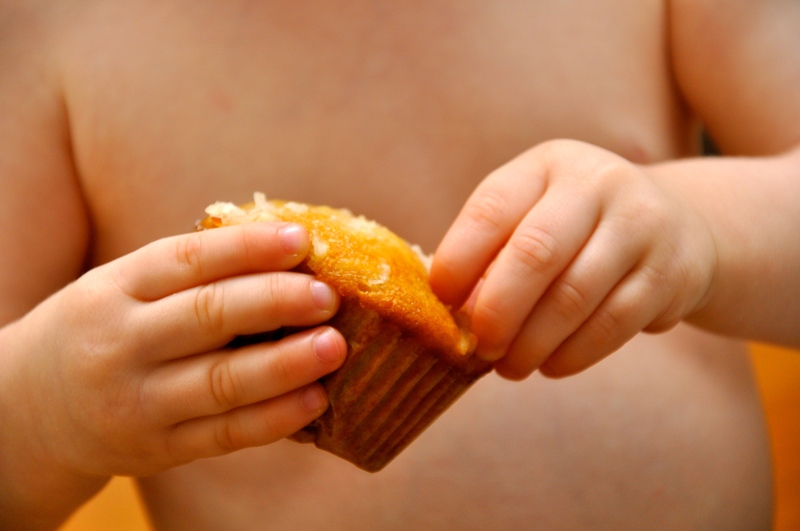 For a sweeter muffin, increase the amount of sugar in the recipe. The tops round out nicely, in golden brown. 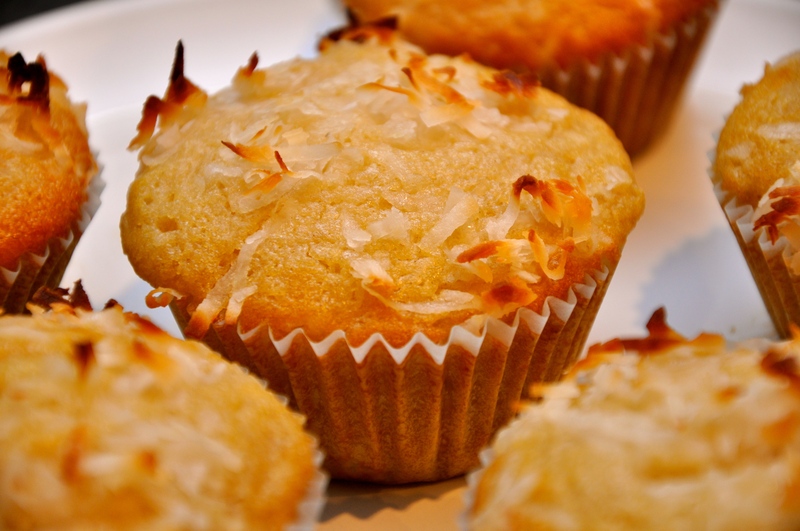 The coconut flakes form toasty edges on top. 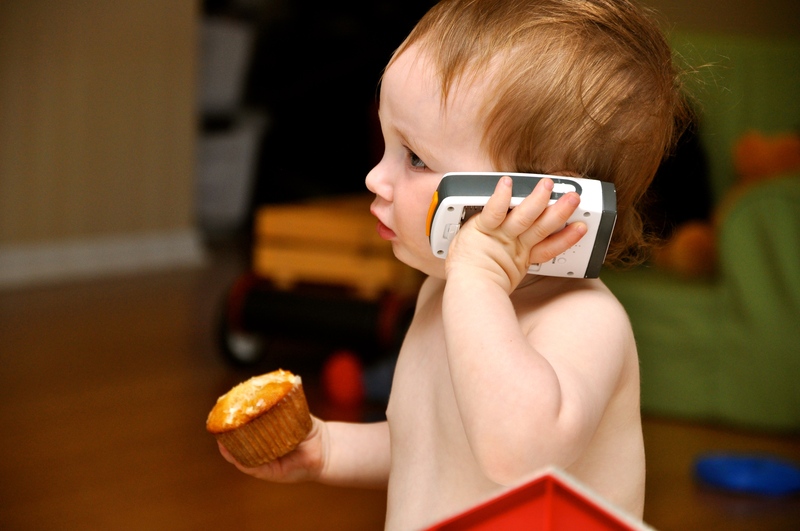 Call these “muffins” if you like, but these are like CAKE. 4. Make a well in the dry ingredients, add the wet ingredients, and stir just to combine. Fold in the shredded coconut.